Visitors coming to Ambleside for the Tour of Britain cycle race will be able to watch the entire day’s action FREE on a giant screen in the town centre. Ambleside Together has arranged for live screening of the event throughout the day in the grounds of the University of Cumbria campus. 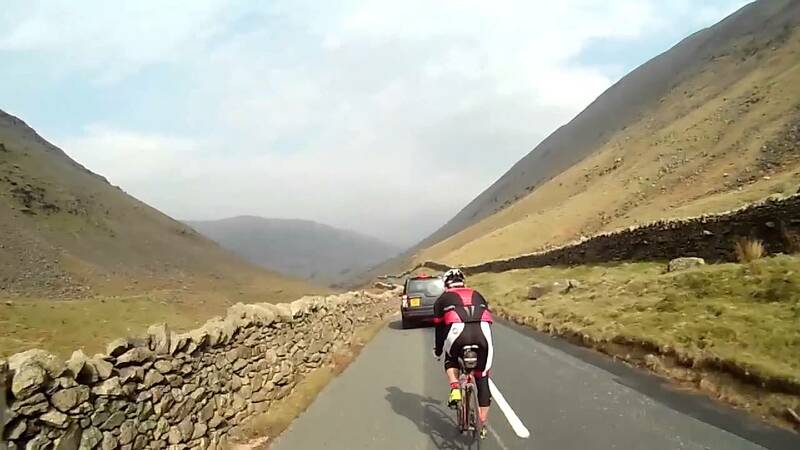 Cycling fans who want to see the racers in action on the most dramatic section, the ascent of The Struggle from Ambleside to the Kirkstone Pass, will be able to watch the subsequent action on the screen without leaving the town. After watching the racers go through, they can return to the campus grounds for the entire day’s event. The Tour is Britain’s premier road cycling event and Glasgow will host the Grand Depart of the opening stage of the eight-day race on Sunday September 4. After the opening stage finishes in Dumfries and Galloway’s Castle Douglas, the cyclists will head for Cumbria on Monday September 5, racing from Carlisle to Kendal. Free entry to the event is from 9.45 with live coverage from 1pm till 4pm. The morning will include recorded footage and other cycling films. “We were very excited to learn that the Tour was coming through the town, and thought that this would be a great way to help cycling fans enjoy the whole day,” said Ambleside Together treasurer Wendy Rainer. She and the committee arranged for the screen to be in place with grant funding from South Lakeland District Council. According to the race organisers, the day’s racing starts from Carlisle at 10.45am. It is estimated that the leading cyclists will go through Pooley Bridge at 11.50am, Cockermouth at 13.18am, Keswick at 13.47am, Grasmere at 14.17pm, Rydal at 14.24pm, Ambleside at 14.26pm (Smithy Brow 14.28pm), top of The Struggle (Kirkstone Pass) at 14.35pm, Cook’s Corner 14.45pm, Plumgarth’s roundabout 15.01pm, and finishing uphill at Beast Banks, Kendal, 15.05pm. “We are very pleased to be working with the University of Cumbria in providing this great facility for visitors and local residents,” said Mrs Rainer. This entry was posted in Uncategorized on July 27, 2016 by Stagey Lady. The Lake District’s extreme iron-distance race Triathlon X has been judged by the experts as the toughest in the world. 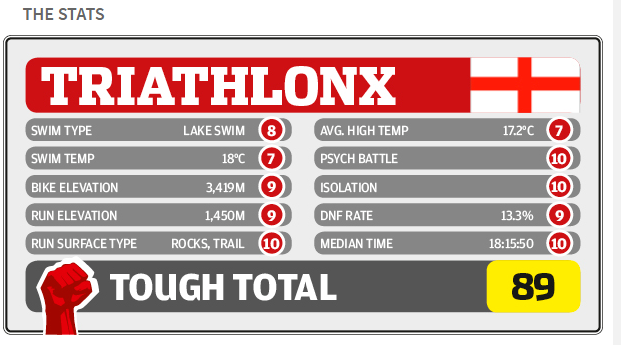 Triathlon X, which was staged at Ambleside last month, enters the ratings for the first time and goes straight to number one, in a list compiled by 220 Triathlon magazine. Their statisticians base their findings on scores for a range of features including bike elevation and run elevation, run surface type, isolation, the median finishing time (at The X, over 18 hours) and the psychological factor they call the “psych battle”. Triathlon X comes out with a total points score of 89 out of 100, ahead of the join-second-placed Altriman in the Pyrenees, and Snowdonia’s The Brutal. Further down the list are races previously considered the toughest, including Norway’s Norseman. “Make no mistake all 11 of these Ironman distance triathlons are tough and not for the faint-hearted, but which is the toughest long-distance race of all?” wrote the magazine’s editor. “The bike is based on the infamous Fred Whitton cyclosportive route, the hilly granddaddy of all classic bike rides that happens to be 180km long. So it’s been an obvious long-held dream to have it as the showpiece of an iron-distance race,” said Anthony Gerundini, 10th in 2016 and 113 time Iron finisher. 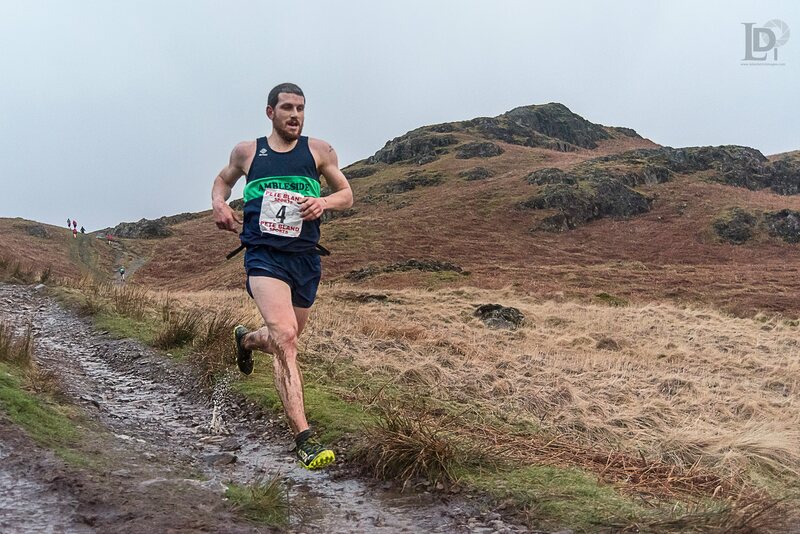 The race, hosted by YHA Ambleside at Waterhead, was won by American Andrew Drobeck in 12 hours 40 minutes. 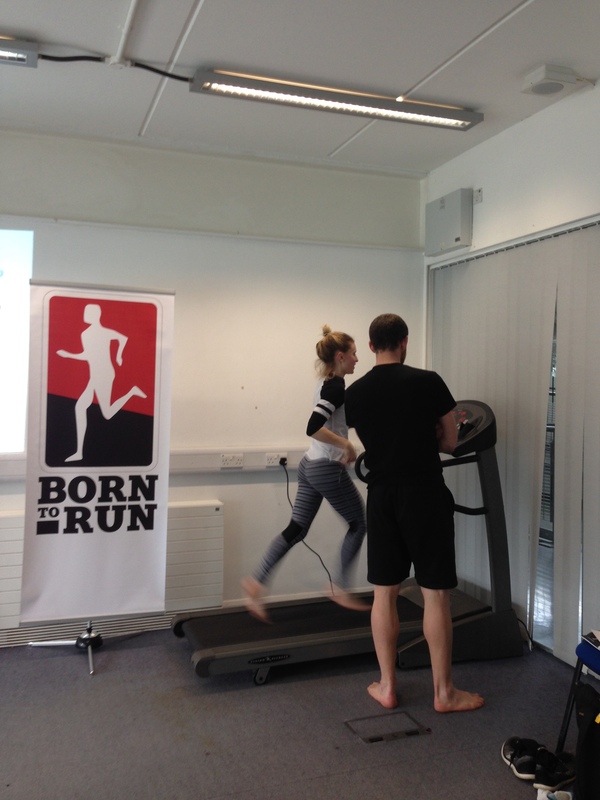 First woman home was Newcastle University’s Daisy Baggs in 16 hours 50 minutes. They each received £1000 prize money from sponsors Lakeland UK and Heart of the Lakes. A pioneering hyper-local newspaper in a quiet seaside town is celebrating 25 years in print with the publication of its 300th edition. Grange Now covers the area in and around the seaside retreat of Grange over Sands on the southern tip of the Cartmel peninsula, between the mountains and the sea some seven miles from Windermere. The popular monthly has written well over 10,000 stories directly related to the immediate area and delivered over 1.5 million copies of the paper; that’s roughly 36 million pages. “There has been drama, good news, bad news, some big stories and many smaller ones, but all with three things in common: they were hyper local and related to this area, they were delivered to the readers for free, and they were supported by local businesses through their paid adverts,” says editor Chris Plumb. Since Plumb took over as editor/publisher in 2013 the parent company has developed two new papers, Windermere Now in 2014, and Ulverston Now earlier this year, and currently prints 27,000 papers a month across the three titles. The August issues between them account for almost 1 million pages of print, and the area of coverage for all three titles now includes the majority of homes in the South Lakes outside Kendal. Grange is a pretty resort with an Edwardian flavour and a mild climate, on the shores of Morecambe Bay where, from the 13th Century until the 1850s, the major route from Lancaster was across the sands. In 1887, the opening of the Furness Railway led to the growth of Grange from a small hamlet to a flourishing town, as wealthy industrialists from Lancashire and Yorkshire built large houses there. “The pages of Grange Now have been used to celebrate volunteers, to promote events, applaud local heroes, celebrate artists of all ages, congratulate high achievers and tackle a huge range of issues,” said Plumb. The paper was founded in 1991 by Mary Ann Best and Robin Williamson. When Plumb took over as editor he had just two part time staff. There’s now more than a dozen people involved across the three papers. 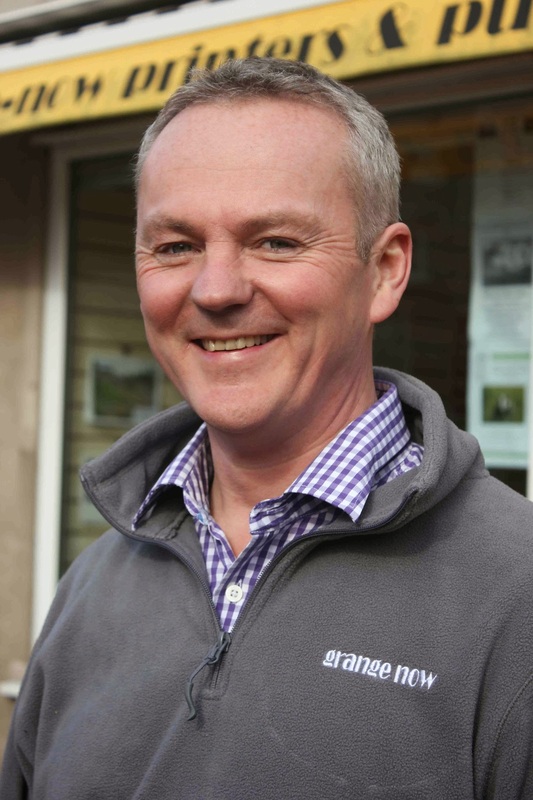 Links to the latest August issues including issue 300 of Grange Now. This entry was posted in Uncategorized on July 25, 2016 by Stagey Lady. An army of volunteers has been in action this week to stage the Lake District’s oldest and most traditional sporting event. Ambleside Sports is held today (Thursday) at Rydal Park with events starting at noon. But planning began 12 months ago, and the field has been transformed in the past seven days. The most complex task is the marking out and setting of the 300m track which hosts cycle and running races. “This has to come first, and the rest of the arena is developed around the track,” said chairman Jak Hirst. “Though even before that, we have to clear the entire field of sheep droppings; that’s a massive task and we are really grateful to everyone who turns up to help on Shovel Sunday, before the event. His committee of around 40 helpers have to transport all the equipment from the store at Ambleside Rugby Club, install portable toilets, and build fences. Grass has to be mown and the various tents used on the day have to be erected and decorated. 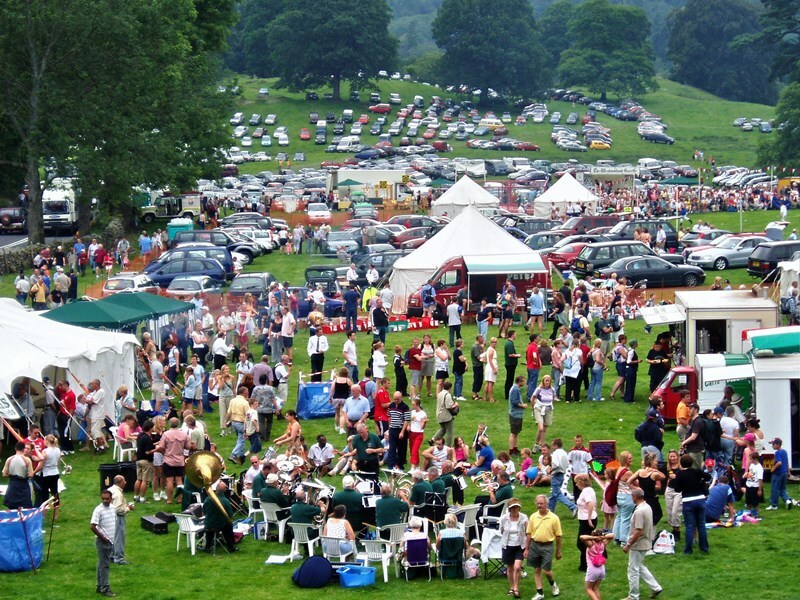 Contractors then deliver and build the huge marquees which house craft stalls, trade stands, refreshments, and the bar. On the day volunteers from two Rotary clubs, the Lions Club, Round Table and many other local organisations are on duty as marshals, stewards, and parking attendants. The Sports, celebrating 130 years this summer, features hound trailing, Cumberland and Westmorland wrestling, grass track cycling and running. Additionally there are two fell races, the short and steep Guides Races, and the nine-mile Rydal Round which follows the route of the Fairfield Horseshoe. The first ever world championship in the Ladies Wrestling will also be taking place. He added: “Of course it is imperative that we have the continued support of the tenant farmer, Chris Hodgson, and the Le Fleming family, who allow us to use the land”. But one loyal supporter will be playing a role for the last time this ye ar. Sports retailer and former fell-racing champion Pete Bland, pictured here, is stepping down as race director for the Rydal Round after 32 years in the post. This entry was posted in Uncategorized on July 24, 2016 by Stagey Lady. An exhibition of work by the distinctive and unusual artist Linda Ryle is now open in the Lake District. Linda Ryle was born in Newcastle-upon-Tyne. 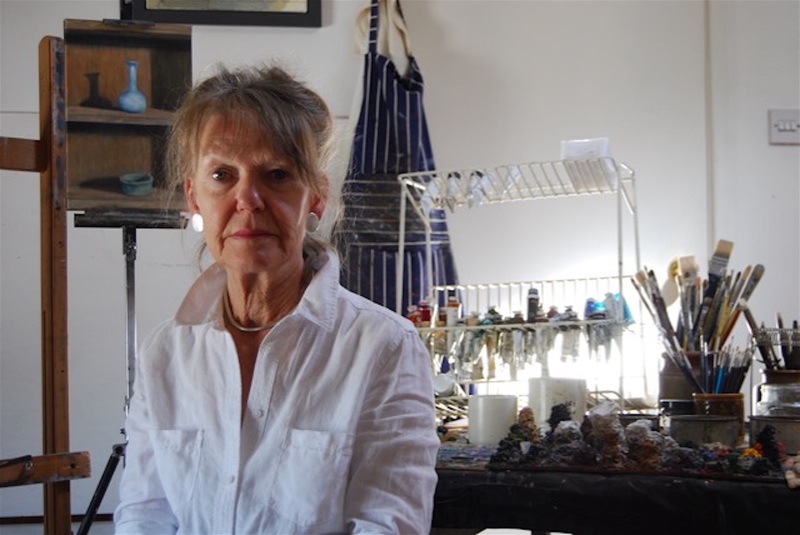 She trained at Goldsmiths’ School of Art, London in the 1960s, and now lives in Cockermouth and is married to the painter Julian Cooper. The exhibition, at the Heaton Cooper Studio in Grasmere tomorrow, brings together work from the 1970s to present day. Some of the pieces on show are samples of the painted leather belts which Linda designed and produced for the shop Ace on Chelsea’s Kings Road (and later at Covent Garden market). The clientele of Ace included singers, actors and celebrities such as Elton John, Lulu, Bianca Jagger and Brit Ekland, who all bought her belts. These covered the period from 1974 to 1983. The work was mostly sold in London, but also in New York and the South of France. In 1983 Linda returned to painting. Her main subject matter was animals, in particular cats, but often farm animals too. It was also around this time that Linda began to publish cards of some of the paintings, which over the years amounted to 26 subjects and two prints. 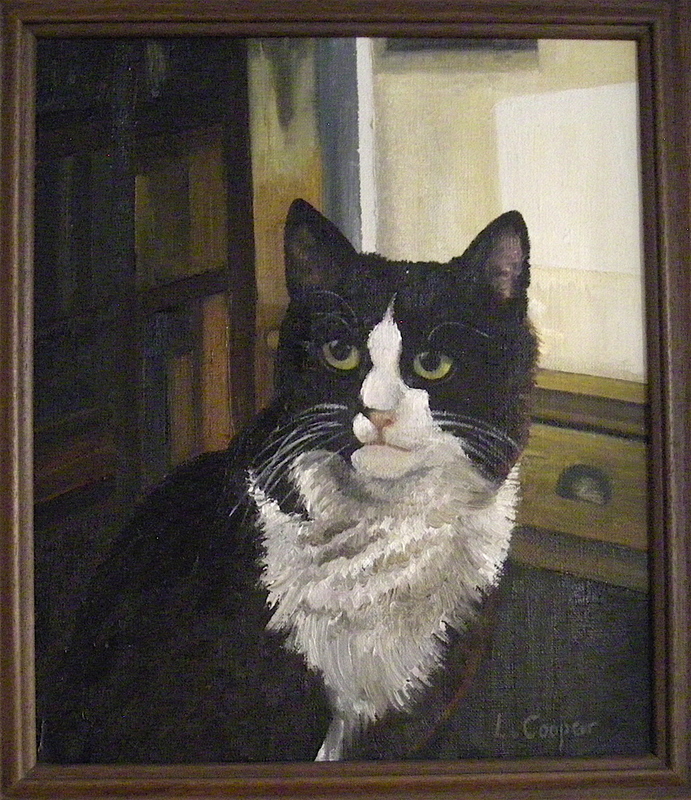 All the animal paintings were signed as Linda Cooper, but by 1984 she was making paintings which did not fit into that category. There was, for example, a series of small canvasses based on dreams, after she had become immersed in the ideas of Carl Jung, the analytical psychologist. Linda’s first solo show as Linda Ryle was in 2004 at the Percy House Gallery in Cockermouth where Julian and Linda were then living, having moved from Ambleside in 2002. 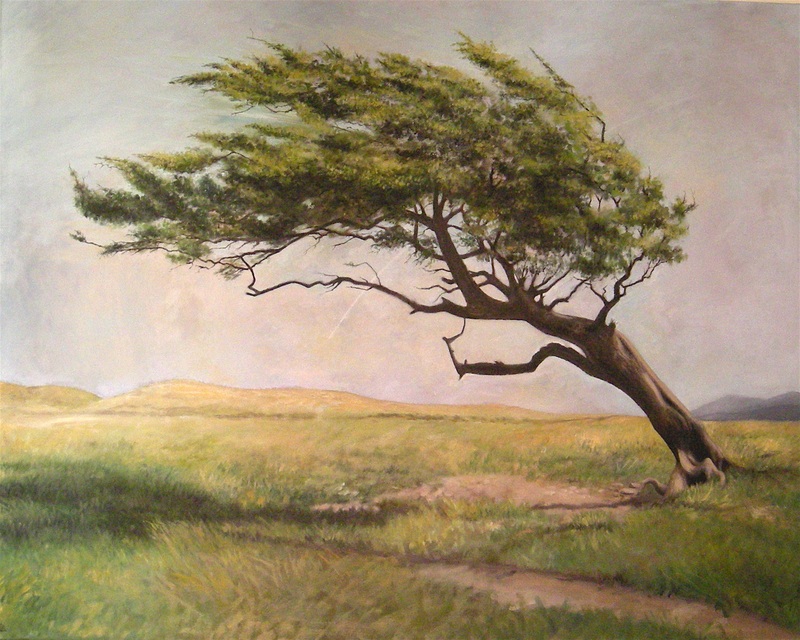 The paintings of trees, river and beck had begun in the late 1990s, inspired by the sound and movement of wind through leaves and branches, sunlight on pebbles, the drag and flow of reeds. The house in Cockermouth, built in 1712, has many old features – beams, spice cupboards, worn cellar steps. These became a new source of inspiration which Linda has been developing over the last 10 years, using objects – often ancient – in carefully chosen settings to capture fleeting moments in time where they are transformed by light and shadow. Last year Linda exhibited 16 of these paintings at The Association of Jungian Analysts in London. Linda has gone on to paint other spaces. The blue rope that was there and perfect, waiting to be painted, another niche painted as she found it – empty. But several months later, having purchased an ancient Egyptian Offering Cup – 3000 years old, she knew it had to go in the empty niche painting. Linda felt that something else was needed, and just knowing that meant her unconscious did the rest: on a walk, a rose hip caught her eye, and proved to be the tiny touch of extra colour. This entry was posted in Uncategorized on July 13, 2016 by Stagey Lady. 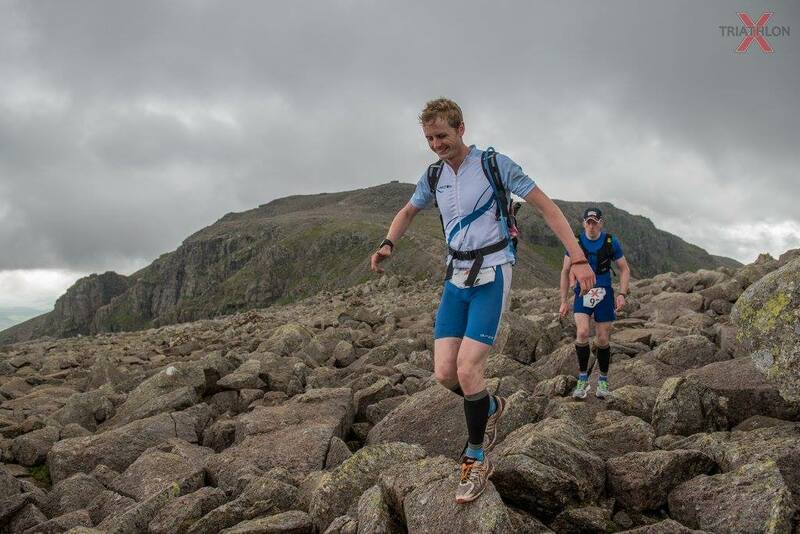 A weekend workshop for runners is to be held in Ambleside in September. The event is being staged by fitness expert Paul Tierney who is the UK master coach for a natural running technique, and Irish international runner, Sarah McCormack. It follows the success of an early summer “bulletproof runner” course which attracted athletes from across the UK. Paul, who is also a sports therapist in Ambleside, is one of 11 Born to Run coaches in the UK, and of those he is the Master coach. 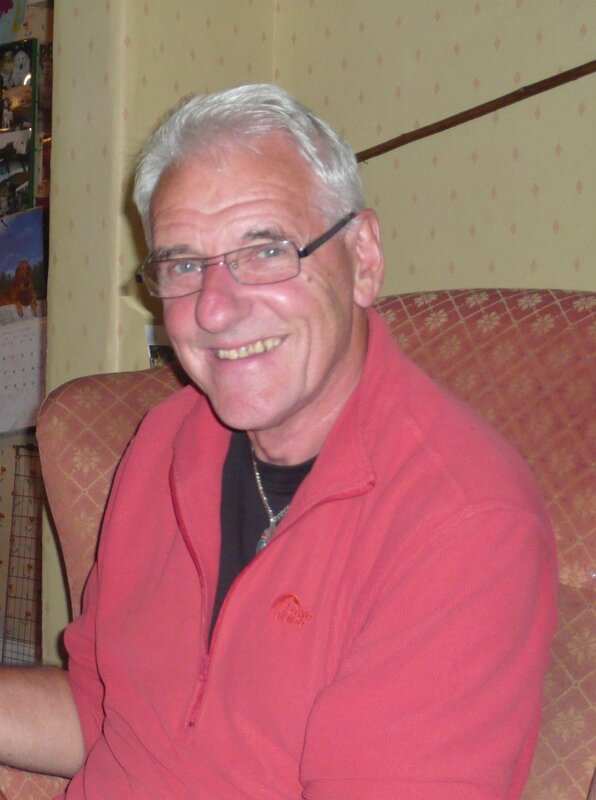 He also runs a weekly fitness class in Rothay Park in Ambleside where grown-ups – ranging in age from 18 to not far short of 80 – run, jump, crawl and climb like children, re-learning how their bodies ought to be used, so that they can better enjoy their sport – or life in general. And he also has running classes in Kendal and Ambleside. The weekend workshop is designed to “give you the tools to improve your running technique – helping you increase efficiency, improve performance and avoid injury,” says Paul. It’s likely to appeal to physios and sports therapists as well as runners looking for the tools to training pain-free and unlocking their full potential for speed and endurance. Each participant will be screened for injury susceptibility, and there will be video analysis of running technique, how to apply the appropriate drills to address individual issues, and learning the best neuromuscular drills to increase elasticity, speed and performance. There will also be sessions in how to structure training, lifestyle and diet for maximum recovery and gains in performance; and the most common causes of pain when running and how to prevent and address them. “Once the fundamental skill and theory has been mastered, we then develop the runner’s physiological capacity for running further and faster by developing elasticity, reactive ability and metabolic conditioning,” says Paul. Paul, a former top-level Irish hurling player, is soon to defend his title in the Lakeland 100 (mile) race, which he won last year. Known as the ‘Ultra Tour of the Lake District’ this is the most spectacular long distance trail race in the UK, a circular route around the Lakeland fells on public bridleways and footpaths, with 6300m of climbing. Paul and Sarah, who represented Ireland recently in the European Mountain Running Championships in Italy, run the Missing Link fitness business. This entry was posted in Uncategorized on July 11, 2016 by Stagey Lady. 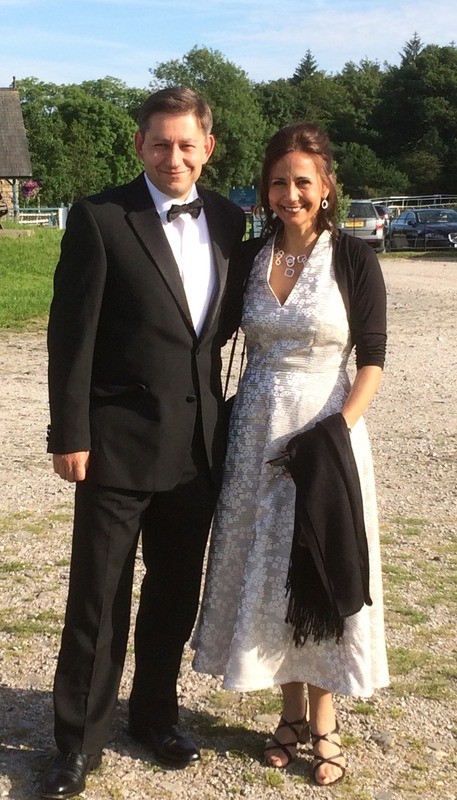 Popular Windermere hoteliers Caroline and Jonathan Kaye are heading for the red carpet of the hospitality world this week. The owners of the Cedar Manor Hotel and Restaurant (pictured here at last week’s Cumbria Tourism Awards) will be in London for the finals of the Cateys – the Caterer and Hotelkeeper awards – at the Grosvenor House Hotel. Considered the Oscars of the hotel world, the Cateys showcase the industry’s highest flyers, strongest performers and hottest brands, and the Cedar Manor is one of just three to reach the finals of the Independent Hotel of the Year category. They are up against the Longueville Manor at St Saviour on the island of Jersey, and Yorebridge House, Bainbridge, Yorkshire, in the group sponsored by Sky. This entry was posted in Uncategorized on July 3, 2016 by Stagey Lady.